Ran an overnighter saturday with Michael Lary and his friends. We headed out in some four foot swells which would later prove the bane for my guys(and one girl) They were pretty spread apart ocean swells which is kind of unusual for our area. They started getting sick on the way out which is never a good sign but they wanted to push through it. I hit a close in rig and picked up one yf on live bait right before dark. They didn’t want to go any further out so I did something I dont normally do. I got right up on the downcurrent side of the rig where the floater would break the wave action and let the non sick guys jig and jig they did. 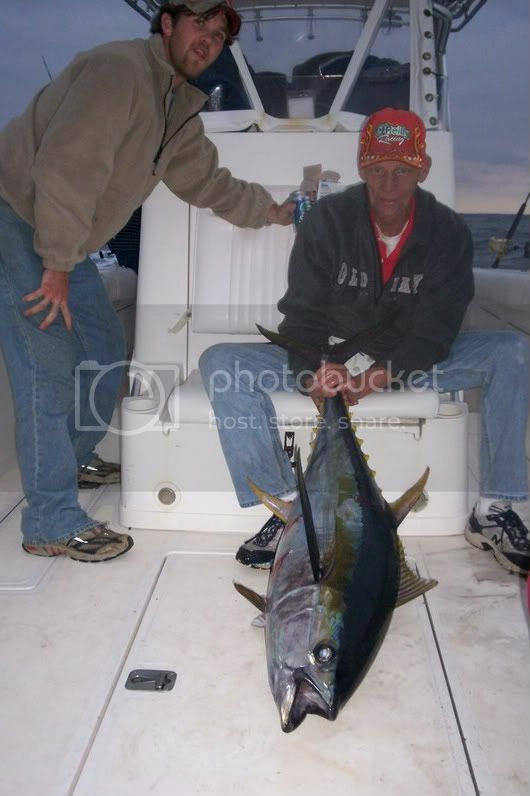 We put a whupping on the 10-12 pound blackfin for about 2-3 hours before they decided they had enough meat. We were using gold diamond jigs with my homeade assist hook setups the jigs were of the four ounce variety. The guys that were able to fish had a blast catching the blacks on trevalas and toriums and they said they cant wait to come back in the summer when the weather is calm. 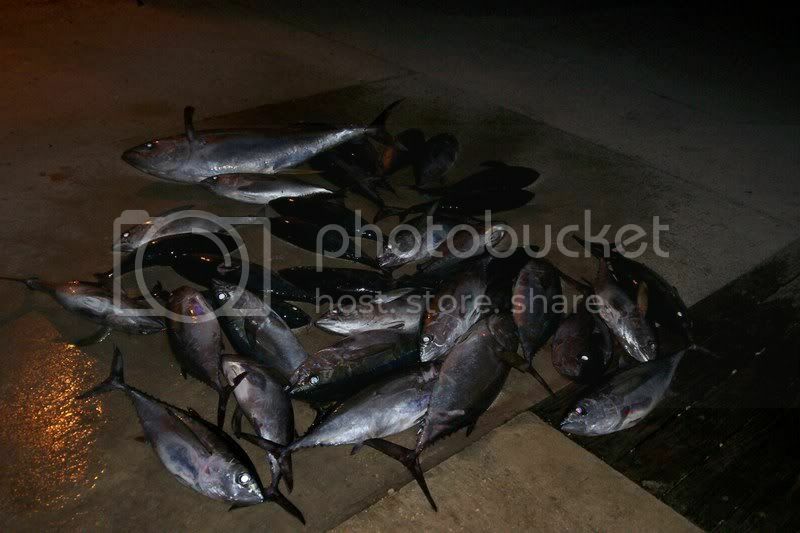 I think the final count on blackfin was like 37 and we lost at least 10 jigs to sharks which were eating the blackfins at the boat.